I have no excuse this week for why the template is late, it was my turn and I got distracted. 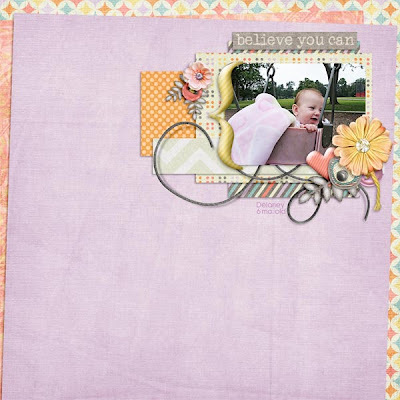 Please do enjoy this week's template and link us up to your gallery posting of your layout!! Here is the layout I created and made you a template from, this is my little niece Delaney when she was just a sweet baby. What a great template! Thanks so much! Love the space for journaling!